Alvin talks about Midwinter Ball, one of Carleton's many traditions. For those who aren’t familiar with Carleton traditions, Midwinter Ball is certainly one of the biggest events of the year. Much like high school prom, Midwinter Ball is a great night of dancing and socializing with friends. Fancy attire is by no means mandatory, but students use Midwinter Ball as the one night in the year to dress up, with dresses, dress shirts, ties, bow ties, and vests being the norm. 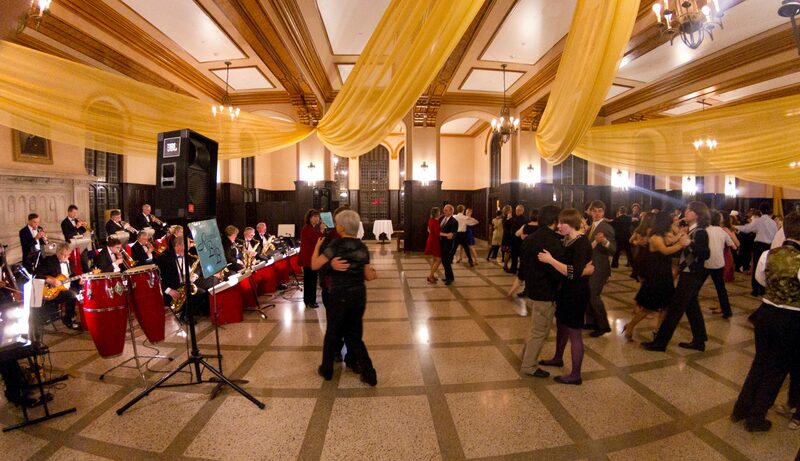 The dance is split up into three sections, with each room offering something unique: the Great Space in Sayles is operated by a DJ, the Great Hall is reserved for Swing dance, and the Severance Tea Hall is for Salsa! Fortunately, all three rooms are within a minutes walking distance and are located in the Complex, which means you don’t have to go outside and face the cold to get from room to room. There is also a shuttle service that stops at various locations around campus to allow students to get to the dance quickly (while staying warm). Midwinter Ball is easily one of the biggest nights of the year and is certainly a lot of fun. I personally had never tried Swing dance or Salsa prior to the last year’s dance, and although I had no idea what I was doing, I definitely enjoyed trying it out. Prior to this year’s Midwinter Ball, there are free lessons in Foxtrot, Lindy Hop, Cha Cha, Rumba, and Mambo on the day preceding the dance. Most people choose to go with friends, but you can certainly take a date too! There is a free photo booth and free pizza as well. The dance runs from 9:30 pm – 1:00 am, so there is plenty of time to have fun with friends and experience new things.